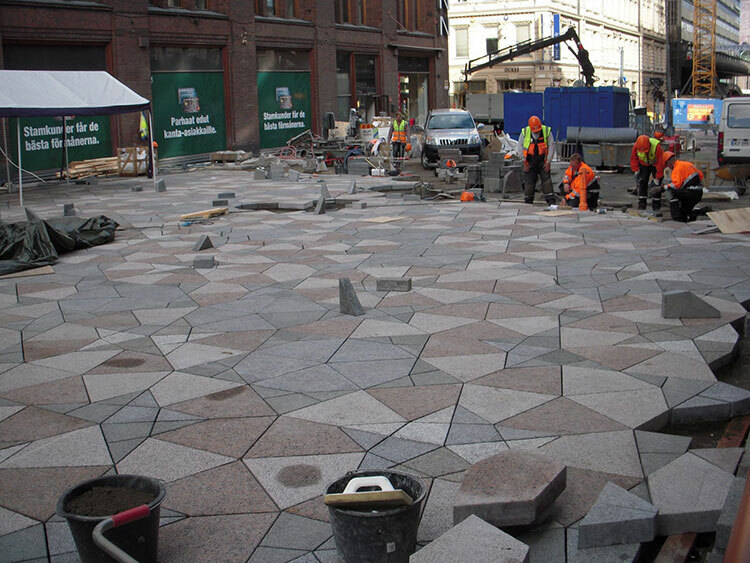 A central street in Helsinki has been paved with Penrose tiles. “The street could also be an object to mathematical awe. The stone under one’s feet is embroidered with some profound geometry, namely, Penrose tiling. In 1974, a British mathematician Roger Penrose realised a plane could be fully covered with a few simple rules such that the pattern constantly changes. These kind of discontinuous patterns are interesting to mathematicians since the patterns can be used to solve other geometrical problems. Together, the tiles can randomly form patterns reminding a star or the Sun but they do not regularly recur in the tiling. Similar features are found in the old Arabic ornaments. 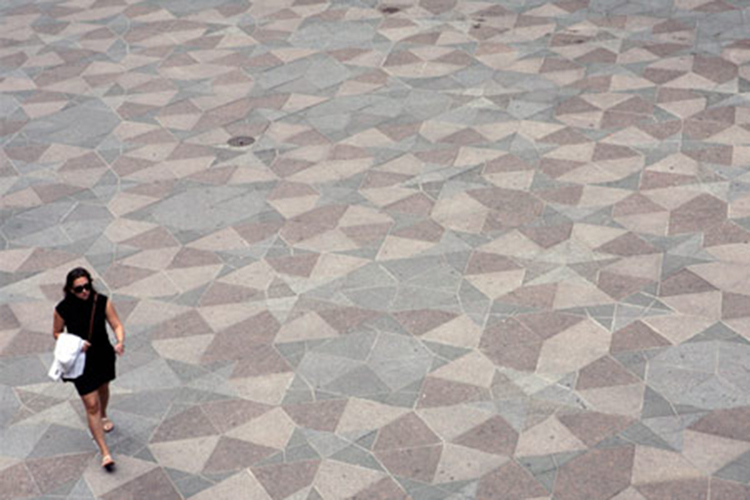 The tiling of the Central Street prom was selected by Yrjö Rossi. Previous Post nc-geometry and moonshine?